Cow burps could soon contain 99 percent less methane. Although natural, cows burping and tooting profusely has not has a positive impact on our world. Global emissions from livestock account for 14.5 percent of all greenhouse gas emissions, with about 44 percent of emissions in the form of methane. The agriculture and forestry industry is the second largest contributor of greenhouse gas emissions. Researchers in Queensland, Australia believe it is possible to radically decrease livestock emissions. They’ve discovered that adding a small amount of dried seaweed to a cow’s diet decreases produced methane by up to 99 percent. The discovery was made by James Cook University aquaculture professor Rocky De Nys, together with the Commonwealth Scientific and Industrial Research Organisation (CSIRO). “We had an inkling that we would get some success from this species, but the scale or the amount of success and reduction we saw was very surprising,” De Nys said. The researchers considered twenty species of seaweed to become the cattle feed additive that would improve the cow’s stomach chemistry. De Nys’ group tested the effectiveness of each species in an artificial rumen, the first chamber of a cow’s stomach where microbial fermentation occurs. The lab-made rumen contained controlled amounts of microbes, grass, and seaweed where the scientists could easily determine methane concentration. They found that Asparagopsis taxiformis, a type of red seaweed, resulted in the most significant reduction. “We have results already with whole sheep,” De Nys said. “If Asparagopsis is fed to sheep at 2 percent of their diet, they produce between 50 and 70 percent less methane over a 72-day period continuously.” De Nys stated that trials on cattle would be underway at the CSIRO Lansdown facility until next year. 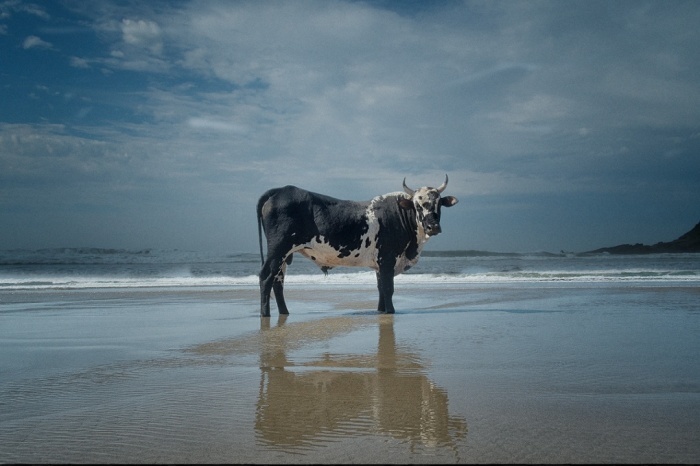 The most challenging part of implementing the discovery to truly make large-scale impact will be harvesting enough seaweed to feed millions of cows. The researchers are considering partnering with other parties, like established seaweed farmers in South East Asia, to make it happen.